Shadow Chancellor Ed Balls has lost his seat in Morley & Outwood after a recount. It seems a Labour shift to Ukip did for him. 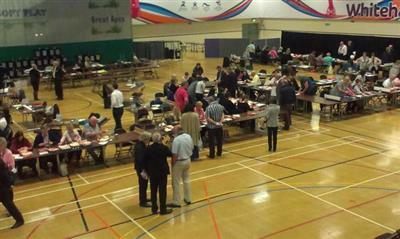 Ukip's vote in the constituency was up by 16 per cent. Conservative Andrea Jenkyns beat him by 422 votes. #elecs2015 #GE15 its official.....the labour party has no Balls. You could put a red rosette on a monkey in West Cumbria and it would get voted in. My family is a great example of this - when ask why they vote for Labour the answer is "Because we always have"
Stay with us today here too - there's still the borough and parish elections to be declared across the county! So proud to be re-elected Labour-Cooperative MP for Barrow and Furness. Thank you, I won't let you down. 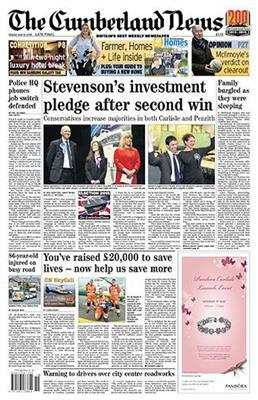 It's been an amazing #elecs2015 , some very tired looking people in the @newsandstar office this morning though. Mixed results at the polls for the Sherriff family. While Lee lost in Carlisle, her sister Paula won for Labour in Dewsbury with a 1,451 majority. Joanna - We're looking at about 12.30pm for the mayoral result. Subject to change, obviously. 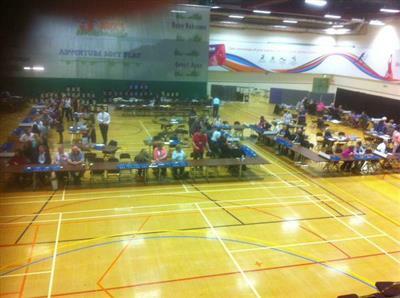 The count for the Allerdale Borough Council and parish elections begins at 11am at Workington Leisure Centre. Reporters Sarah, Liam and photographer Paul will be there until the bitter end, keeping us updated with what's going on and bringing you the latest results. Also on a national note, Nigel Farage has lost the Thanet south election. Conservatives now have 322 seats. They need a further 4, from a remaining 13 seats, for a majority. Sarah's managed a couple of hours of sleep after last night's/this morning's parliamentary elections and says she's now running on caffeine. I'm hoping she doesn't suffer from a mid-afternoon slump. Actually, I'm hoping I don't either.